This new CBC series features illustrators sharing their creative process to provide context to their amazing artwork. 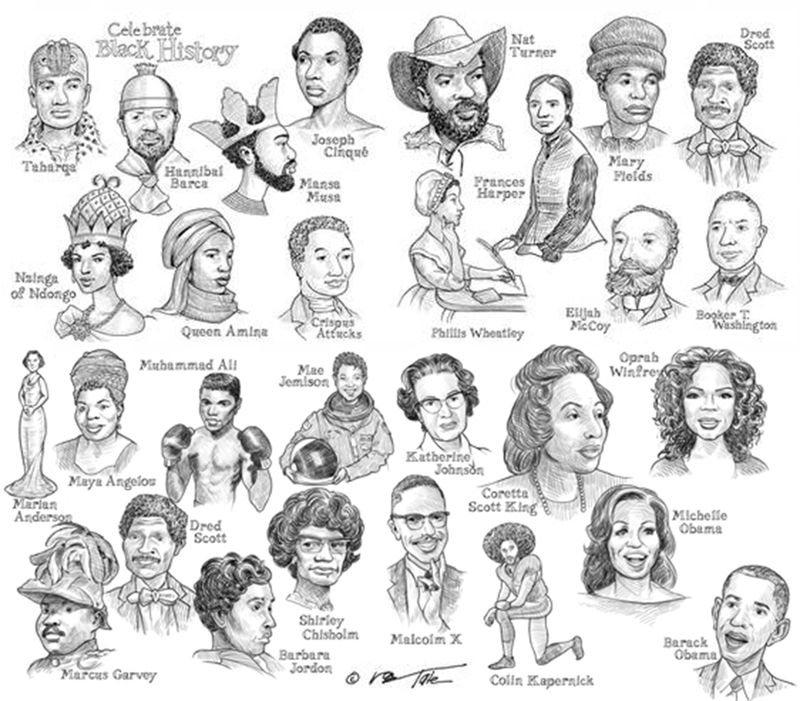 Our featured artist is Don Tate, an illustrator of numerous critically acclaimed books and an award-winning author, in 2013, he earned an Ezra Jack Keats New Writer Honor Award for his first picture book text. 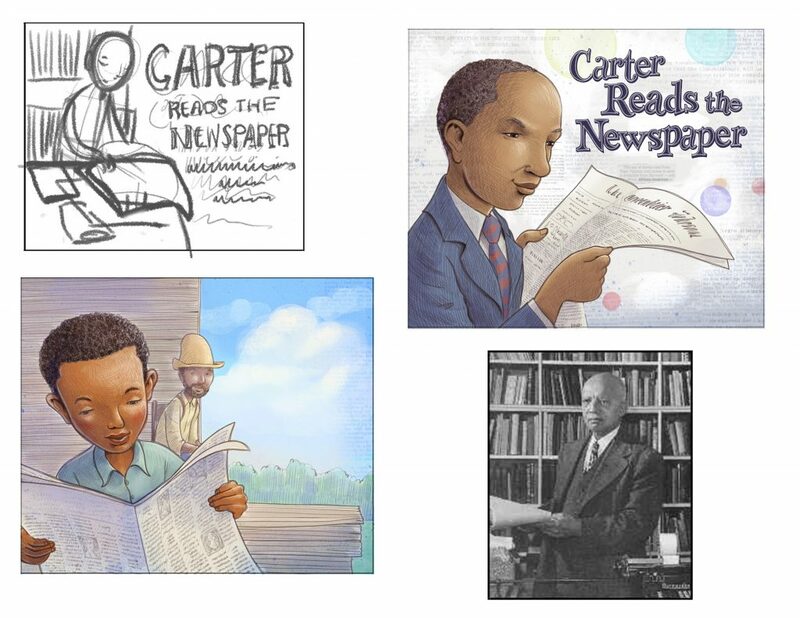 The art below can be found, in finished form, in the picture book Carter Reads the Newspaper, which was written by Deborah Hopkinson. 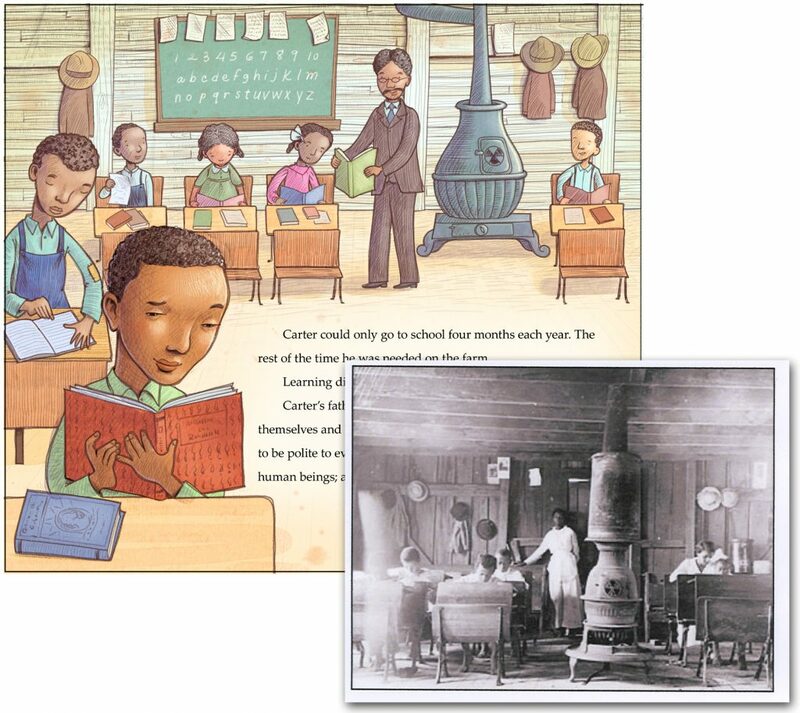 the first picture book biography of Carter G. Woodson, which emphasizes the importance of pursuing curiosity and encouraging a hunger for stories that have not been told.